Happy Wednesday, y'all! Today I thought I'd pop on and address something I've been getting tons of questions about lately. So many of you say you want / try to shop my posts on instagram, but don't know how. A lot of you also say you are signed up with LiketoKnow.it, but it's not seeming to work for you. Today I'm going to show you step-by-step how to register, shop each post, and where to shop all my posts even if you don't have Liketoknow.it. 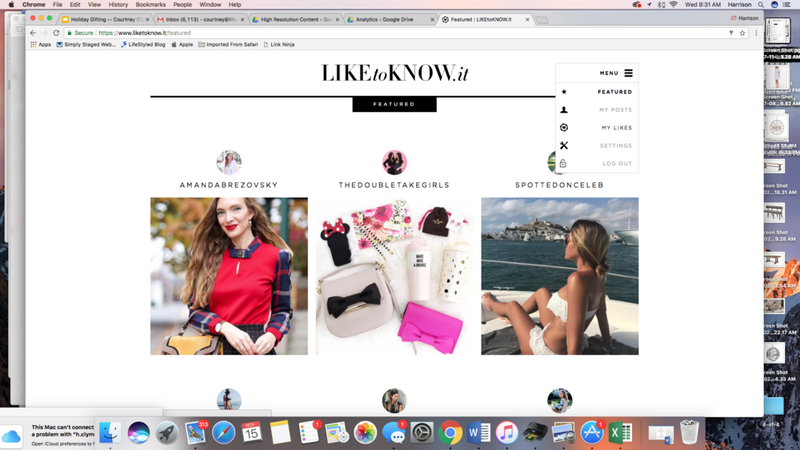 LiketoKnow.it allows you to "like" a photo on instagram, or take a screenshot of it, to shop the items that the person is wearing. Whenever you see me post a photo with a liketoknow.it link included, it means you can "like" or screenshot this photo to get all the outfit details! Then, you can visit the link OR open your liketoknow.it app on your phone to shop. This is however, only if you have an account and everything is linked up correctly! 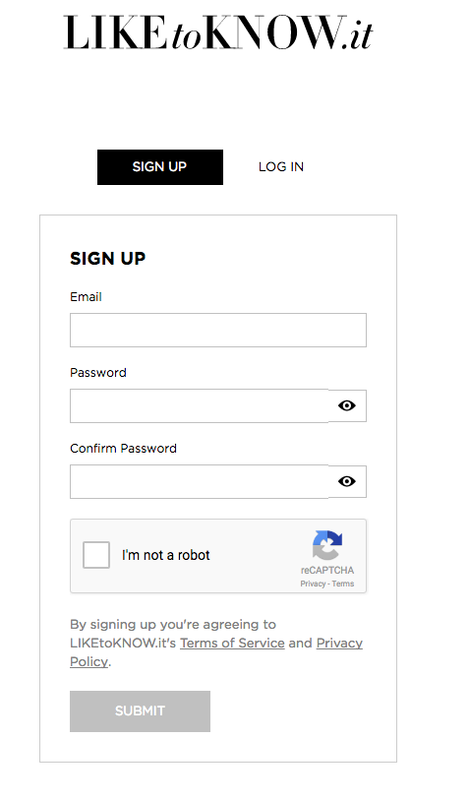 Here's a step-by-step of how to register, make sure your instagram account is connected, and shop outfits via the app or online. visit https://www.liketoknow.it/ and click "SIGN UP" in the upper righthand corner. Once you're registered, you'll see your dashboard. You can select from the dropdown MENU in the righthand corner to click on "My Likes" if you already have an account and have liked photos in the past that you want to shop. 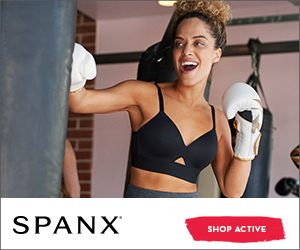 OR, this will be empty if you've just signed up. Now, it's time to download the app! Go to the @liketoknow.it instagram page and click the link in their bio to download the new app from the app store. Make sure your instagram account is linked! Once you've done these steps, you should be ready to shop! From now on, simply screenshot or "like" any photo to shop the outfit details. Then head over to your liketoknow.it app and you'll see the photo there, ready to shop. If you have any questions at all, I am more than happy to answer them! You can also visit liketoknow.it for a full tutorial and more specifics. Happy screenshotting!